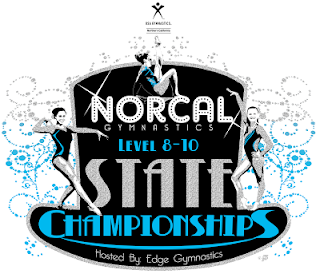 The level 8, 9 and 10 Junior Olympic Teams competed at USA Gymnastics State Championships on March 18 and 19 at the Alameda County Fairgrounds hosted by Edge Gymnastics of Dublin. Ashlyn Parlett – eighth on vault, ninth on beam and tenth all-around with a score of 35.450. Haley Corrigan – fourteenth all-around with a score of 32.225. Katy Cordeiro – eighth on beam and twelfth all-around with a score of 35.300. Thea Michovsky – eight on vault and ninth all-around with a score of 36.050. Blake Gozashti – fifth on vault, fourth on beam and sixteenth all-around with a score of 34.725. Those girls scoring a 34.000 or higher qualified to advance to compete at USA Gymnastics Region 1 Championships on April 7-9 at The Visalia Convention Center. From Regional competition, Level 9 girls can advance to Western Championships and Level 10 girls can advance to Junior Olympic Nationals (The “Junior Olympics”).